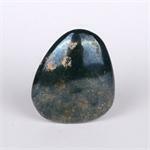 Stone Properties: Covellite is a copper sulfide mineral with a hexagonal crystal system. 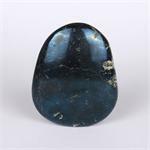 Its color is deep blue to black, usually with a play of gold or deep red on its surfaces. Crystal Healing: Covellite connects strongly with physical reality and Earth energies and at the same time carries much of the higher spectrum of vibrations from the etheric planes. 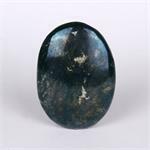 It makes an energetic bridge between worlds, and it can be an important ally for anyone attempting the evolutionary leap to the next level of being.